This is an "all level" double op event. Cuddeback Dry Lake area. The Land Ops team will be performing a recon in November to determine the best use of trails and synchronized cache deployment. Watch for the recon to be posted for November 2014. 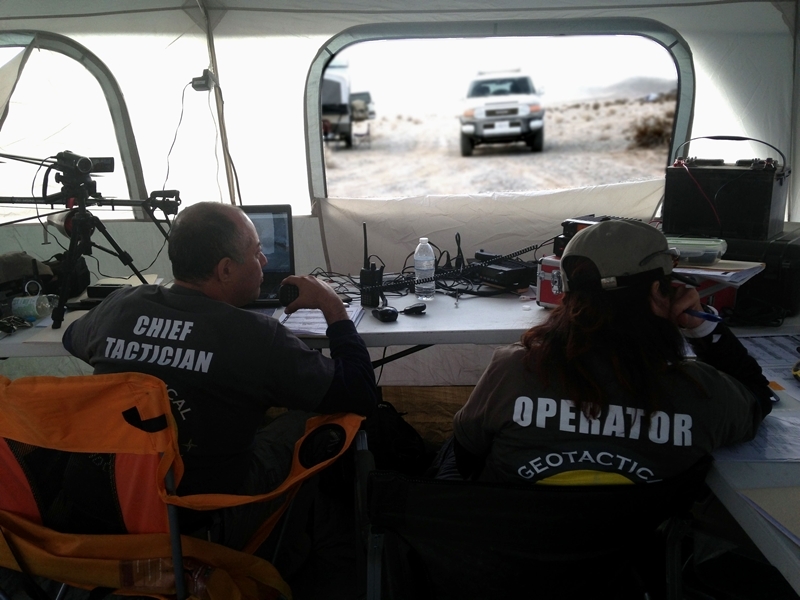 A team is being assembled to recon both Death Valleyfor SAR event and will double back to recon Cuddeback dry lake area. 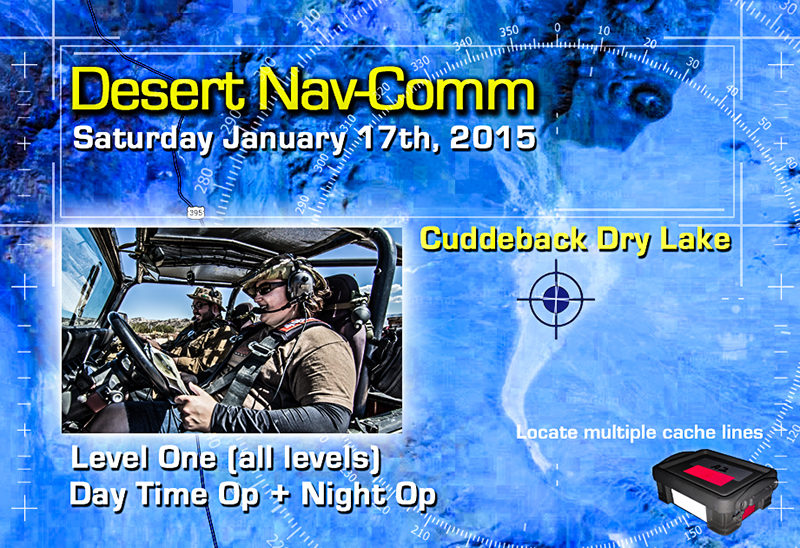 Event is on Saturday January 17th, 2015 (mark it in your calendar). Come early on Friday night. More information as this event draws closer.